Are you part of those who usually see customer service as just another cost of doing business? It should delight you that not only can this appear rewarding for your customers; it actually can impact your bottom line too. 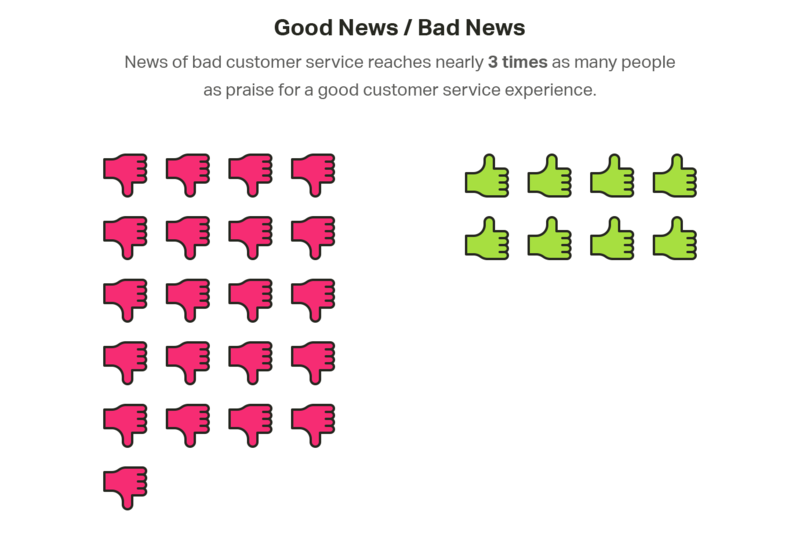 You can hardly get away with bad customer service except for the airline sector -maybe. It’s become an industry thing. Maybe you don’t know, but bad customer service may actually be wrecking havoc in your business in a hidden way you didn’t suspect. Aside from making it easy to turn prospects and new arrivals into loyal customers, there is a whole lot at stake you won’t even think of condoning. Here, let’s see! The saying that it is more expensive to acquire a new customer than it is to keep a current one is far from being a new thing. As truthful as that is, it should, however, interest you that there is even another aspect of the price that can be easily influenced by customer service. When a company continually provides customers with poor customer service, such customers have been shown to be more sensitive to price should there be a review or even a slight increment. 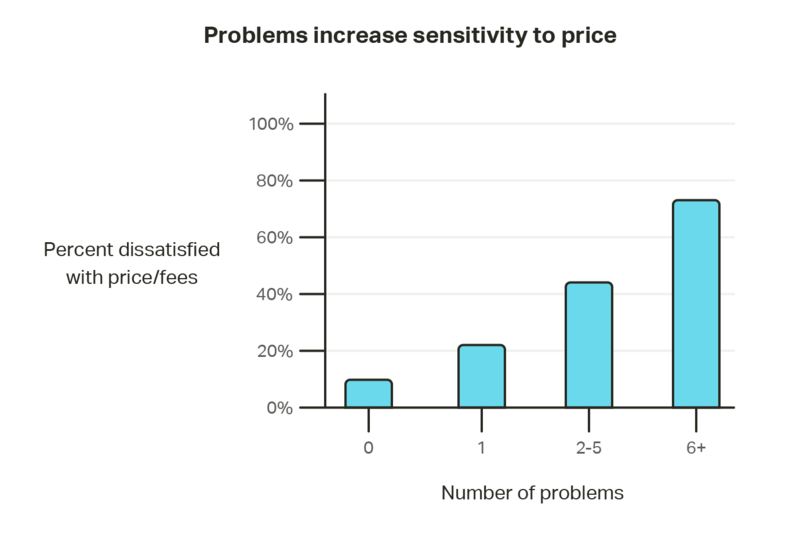 Several studies have shown that problematic encounters often affect a customer’s disposition towards price, price reviews, or additional fees. Bad customer service can allow little problematic encounters to degenerate into larger problems. While the possibility of customers abandoning the brand is already a thing, a large percentage of the remaining customers will also try to resist price reviews and changes in some ways. It’s a simple lose-lose. In keeping your customers happy and satisfied, you won’t want them to encounter unpleasant surprises. Research has shown that rather than approach support for problem resolutions, a large percentage of customers would rather keep mum and not patronize your business again. Although the exact percentage of these people may vary between industries, not every customer would actually report their problems. When you continue to offer bad customer services, this will definitely deprive you of the much needed second chance to prove to a customer why they’ll still be fine with your company. It’s common knowledge that bad news spreads the most. In all honesty, this is the same with bad customer service. Research has shown that a lot of people would readily share their bad experience with others much more than they are likely to share the good ones. While about 46% of Americans will easily tell others about excellent customer service, a larger 60% said they’d always share the bitter ones, telling three times as many as they would do the other way round. In today’s world where people can easily share their experience on social media, sharing a story of being wronged will generate support and solidarity from many of their followers and friends. News like this spreads like wildfire, unlike the positive ones which although still enjoy a fair coverage, it does not have so much reach as the other. Customer service is not a cost of doing business. It is an ongoing investment which when left unattended can have dire consequences on the financial aspect of your business. It is not enough to produce exceptional products. Products would attract prospects. but poor services will end up driving them away. While customer expectations are getting higher with each passing day, imbibing politeness and a sense of professionalism and competency in your service offerings would have a significant impact. Likewise, offering excellent customer service will ultimately affect your bottom line. While it will be easier to retain loyal customers, it will also be easier to convert new arrivals to recurring customers. So, let me ask you; are you providing an excellent customer experience? A Bain & Company research showed that while about 80% of business feel they are providing excellent service, surprisingly, only 8% of customers share that view. So, look inwards and ask yourself; are your customers getting the best service you can offer? Are they getting good experiences majorly? If you aren’t sure where you stand, it’s high time you put everything in order.